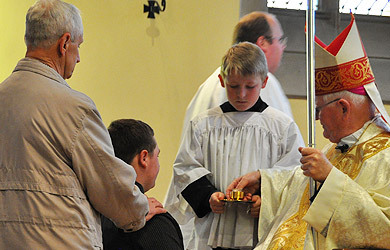 RCIA stands for the Rite of Christian Initiation of Adults and it is the process through which persons -& adults and children – join or complete their initiation into the Catholic Church. For additional information, visit the RCIA Webpage. 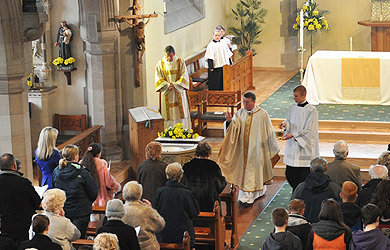 RCIA consists of four periods of formation which are marked by rituals that celebrate what has been completed and call a person into the next phase. There is no specific length of time for each period. The RCIA is a ;journey that “takes as long as it takes,” according to each individual. Click here for the Stages and Rituals below in more detail. Go to the webpage above, then visit or call the Catholic Parish in your area. Tell them you are interested in learning more about the Catholic Church.